Born in Kawagoe, Saitama in 1976. Chosho Yabe started calligraphy at six and acquired the master degree after 16 years of her carrier, at age 22. 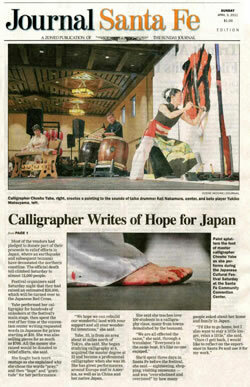 With accomplishing several awards in exhibition contests, Chosho went into the field of professional calligraphy art in 2006. She has performed her ‘Tradition & Innovation’ at her private exhibitions and workshops in Europe and Americas as well as Japan and other countries in Asia. 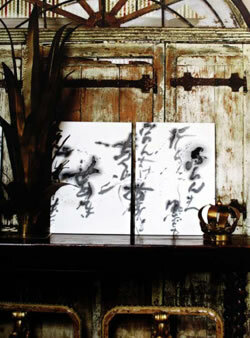 Her artificial works includes; supervising calligraphy works in film, inscriptions, and logo designs. Chosho also promotes collaboration with other artists from various genres which works are widely broadcasted in media. These also brought more people to her calligraphy school in Kawagoe, where people often describe its historical beauty as ‘Mother of Edo’. 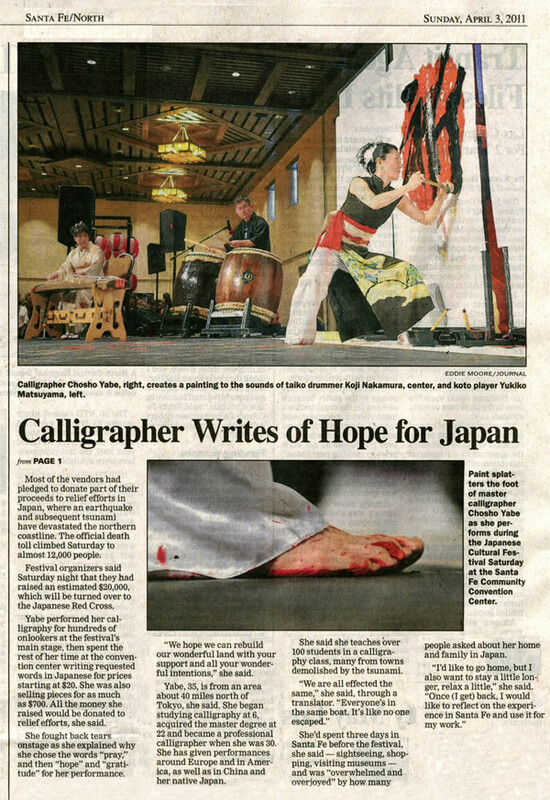 From her studio in the town of warehouses, Chosho is conducting a broader range of calligraphy art and Japanese culture to the world. Chosho shows lively performance at various types of ceremonies which includes; corporate award ceremonies recognition parties, international events and many others. Her performances are known as loridness and dynamism in beauty. ‘Handwriting’ is one of the thing that modern IT technology kept people away from. By providing opportunities to experience Japanese cultural handwriting, calligraphy, Chosho is enhancing contributions and cultural exchanges. 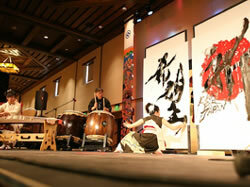 ‘Chosho has put her works out in Europe, Korea, and China, the home of calligraphy. The contradictory features of her meticulous works, suaveness and fiber, are popular especially among women not just in Japan but worldwide. Chosho aggressively comes out in the media with her works to encourage people to be fond of calligraphy, Japanese traditional art. Today, more media such as TVs, radios, newspapers and magazines are paying more attention to her works both in and out of Japan.